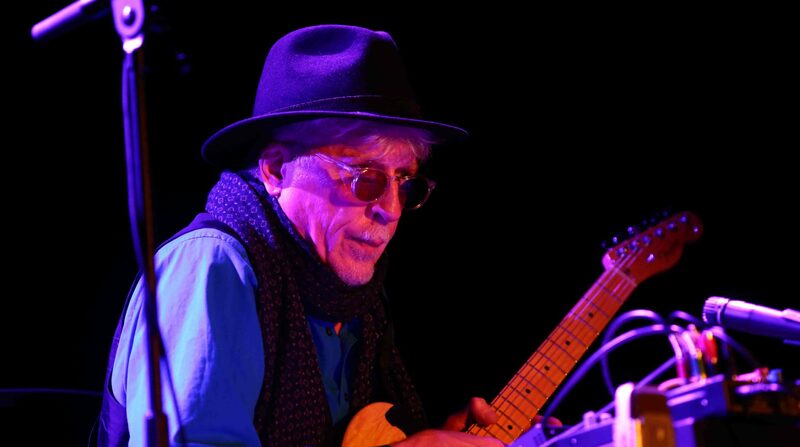 Rhys Chatham music and projects. Performing the original 40 minute version of Chatham’s 1997 composition \Guitar Trio\ (with visual projections by Robert Longo). The band: Jon Mueller (drums), Keith Brammer (bass), and on guitar: Rhys Chatham, David Daniell, Ben Vida, Robert Lowe, Chris Rosenau, and Todd Rittmann. With Lichens opening. Performing the original 40 minute version of Chatham’s 1997 composition \Guitar Trio\ (with visual projections by Robert Longo). The band: Tim Glenn (drums), Greg Norton (bass), and on guitar: Rhys Chatham, David Daniell, Andrew Broder, Erik Fratake, Robert Lowe, Todd Rittmann, and Ben Vida. The band: Lucas Veldhuizen (drums), Robert Lowe (bass), and on guitar: Rhys Chatham, David Daniell, Ed Gray, Evan Miller, Wade Hansen, Daren Ho, Ben Vida, and Todd Rittmann. With Lichens and Evan Miller opening. The band: John McEntire (drums), Josh Abrams (bass) and on guitar: Rhys Chatham, David Daniell, Doug McCombs, Robert Lowe, Jeff Parker, Todd Rittmann, Adam Vida, Ben Vida, and Eric Block. With Good Stuff House and White/Light opening. The band: Jason Stark (drums), Cain Blanchard (bass), Spencer Yeh (electric violin), and on guitar: Rhys Chatham, David Daniell, Keenan Lawler, Jon Lorenz and Roesing Ape. With Times New Viking and Karthik Kakarala Ensemble opening. The band: Mark Sawasky (drums), Joel Peterson (bass), and on guitar: Rhys Chatham, David Daniell, Bill Brovold, Thor Brovold, Nick Schillace, Matthew Smith. With Nick Schillace opening. Cleveland, OH, United States Performing the original 40 minute version of Chatham’s 1997 composition \Guitar Trio\ (with visual projections by Robert Longo). The band: Ben Billington (drums), Sam Goldberg (bass), and on guitar: Rhys Chatham, David Daniell, David Cintron, Chris Smith, Jeff Host, and Michael Pultz. Buffalo, NY, United States Performing the original 40 minute version of Chatham’s 1997 composition \Guitar Trio\ (with visual projections by Robert Longo). The band: Jim Abramson (drums), Andrew Thomas (bass), and on guitar: Rhys Chatham, David Daniell, Tony Conrad, Scott A. Valkwitch, Tristan Trump, Bill Sack, and Chase Middaugh. With Novelist opening. The band: Glenn Michem (drums), Kevin Lynn (bass), Anne Bourne (cello), Nick Storring (cello), Rose Bolton (violin), Owen Pallet (violin), Julie Penner (violin), Mika Posen (viola), and on guitars: Rhys Chatham, David Daniell, Bill Brovold, Colin Fisher, Geordie Haley, Brian Kroeker, Bill Parsons, Paul Swoger-Ruston, and Matt Rogalsky. With Eugene Martynec opening. The band: David Payant (drums), Thierry Amar (bass), and on guitar: Rhys Chatham, David Daniell, David Bryant, Jonathan Cummins, Harris Newman, Efrim, LoU, Oliver, Barry Thomas, and Matt Rogalsky. With Thames opening. The band: Tim Nylander (drums), Winston Braman (bass), and on guitar: Rhys Chatham, David Daniell, Chris Brokaw, Jonah Rapino, Keith Whitman and Brenton Wood. With Neptune opening. The band: Dave Parmelee (drums), Vechel Jaynes (bass), and on guitar: Rhys Chatham, David Daniell, Chris Cretella, Steven Ross, and Matt Wilson. With Peter Edwards opening. The band: Jonathan Kane (drums), Ernie Brooks (bass), and on guitar: Rhys Chatham, David Daniell, Kim Gordon, Jonathan Kane, Alan Licht, Robert Longo, Thurston Moore, Lee Ranaldo, Colin Langenus, Byron Westbrook, and Adam Wills. With Lichens/Licht (Robert Lowe + Alan Licht) and Neptune opening.